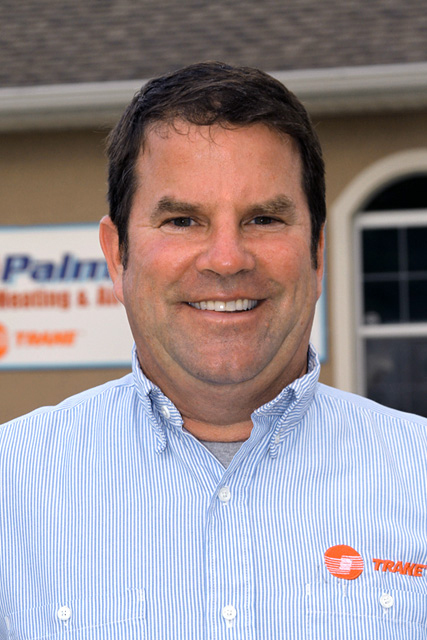 Palm Coast Heating and Air Conditioning’s Douglas A. Jahn. Click on the image for larger view. Palm Coast Heating & Air Conditioning earned a Top Performer status for the North Florida territory for the month of October. The award was announced in Trane’s North Florida Dealer Sales Office newsletter this month. A total of ten dealers, out of about 750 North Florida Trane dealers, received a Top Performer status for October. Trane Inc. is a global provider of heating, ventilation and air conditioning systems, as well as building management systems and controls. Its offerings include service and parts support and financial solutions. They employ more than 29,000 people at 104 manufacturing locations in 28 countries. The company has annual sales of more than $8 billion. Trane is also involved in energy conservation and renewable energy projects. Palm Coast Heating & Air Conditioning, Inc. has been serving the Flagler County area since 1990. They are celebrating their 23rd year in business, growing from a single employee to 10 over that period. They have earned the News-Tribune’s Reader’s Choice Award for Best Heating & Air Conditioning company for three years in a row, as well as multiple awards from Trane. They are also a member of the BBB and the Flagler County Chamber of Commerce. Aside from their website, they can also be found on Facebook.